Hector Bellerin says Arsenal feels like a different club under Unai Emery since he replaced Arsene Wenger as manager this summer. The Gunners changed manager for the first time in 22 years at the end of last season, with the long-serving Wenger stepping down after a few years of decline. 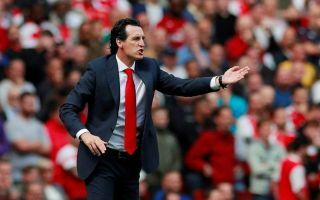 Many Gooners were ready for a change at the Emirates Stadium, and Bellerin has given a rather exciting insight into how the north London giants are developing under a very different coach in Emery. The Spanish tactician was something of a surprise appointment when he arrived, and he was handed a nightmare start with games against Manchester City and Chelsea to start the new Premier League season. Despite back-to-back defeats, Emery’s side have since beaten West Ham and Cardiff City to get back on track, and Bellerin has been impressed by the new manager’s work and preparation for opponents, saying the way he sets the team up is completely the opposite to Wenger’s philosophy. “It feels like a new club,” the defender told the Times. “We have so many new staff. It’s a shame for those who have gone, and I am grateful to them all. Some had been at the club for many years. But you can understand why a new person would like to put their own stamp on the club. “I am impressed with Emery. We lost our first two games but we were very close both times. After the match, the players could feel that things were coming together. “With Arsene, he wanted us to play in the same way regardless of the opponents. The idea was that we could play in our way and beat anyone. But Emery is very focused on preparing a plan for our next opponents, whoever they may be.